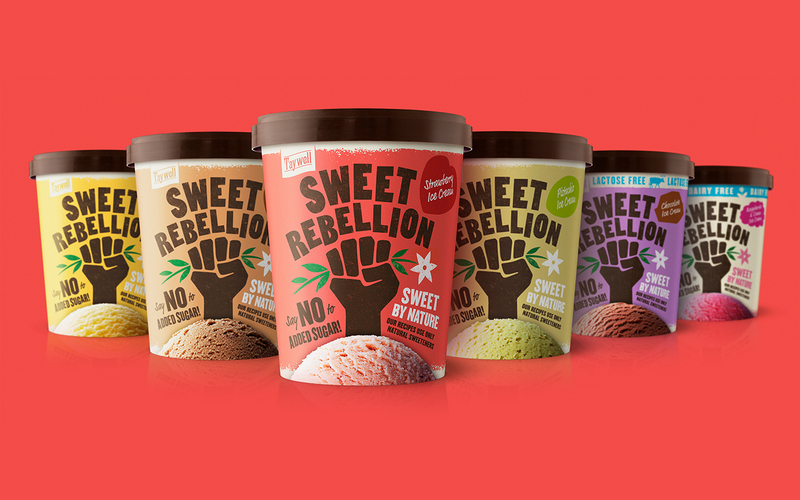 British artisan ice-cream producer Taywell’s wanted to produce the UK’s first ‘no sugar’ ice cream that rivalled high-end competitors without the sugar. 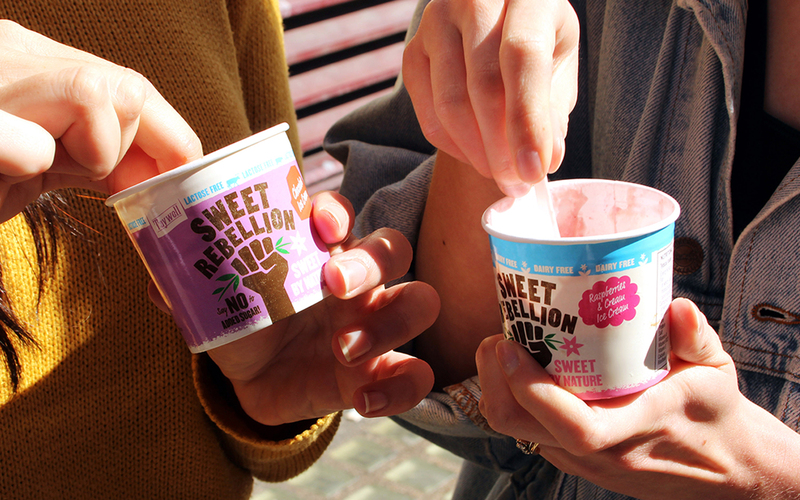 From strategic research we developed the brand name ‘Sweet Rebellion’ and its subsequent positioning and packaging. 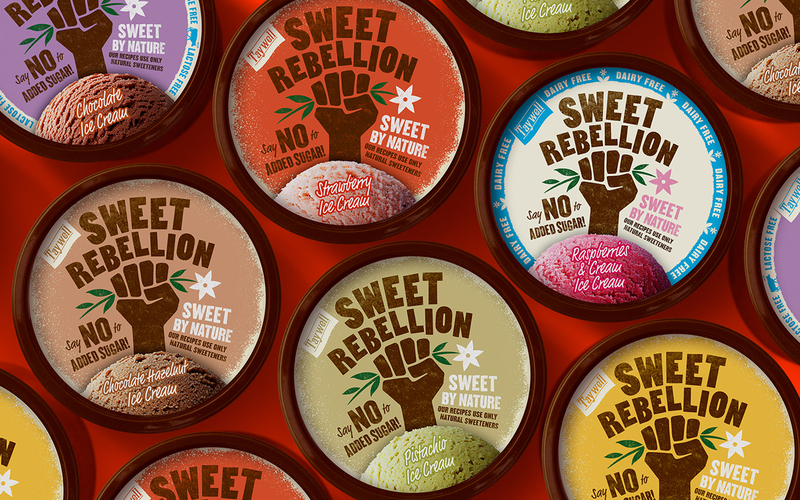 We focused on communicating their USP while using colour variants to differentiate between 6 flavours across multiple pack sizes. 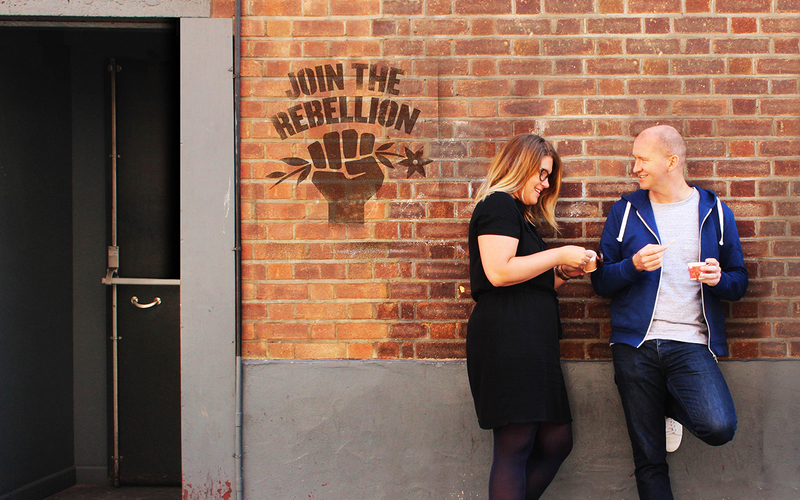 We rolled out the new design across different brand collateral, including promotional materials and exhibition stands. 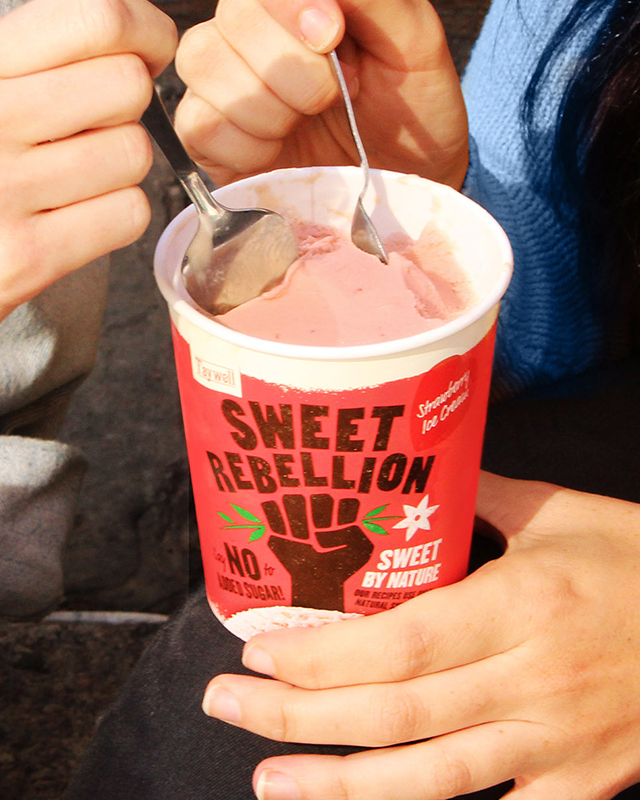 As a result, Sweet Rebellion was listed in 2 leading supermarkets and achieved nationwide distribution.